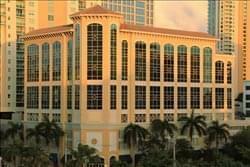 Find My Workspace lists over 95% of the executive office suites market in Fort Lauderdale. Simply click Request Quote to check pricing for one office, or Add to Basket for multiple offices. 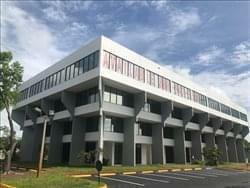 This business center located in North Lauderdale, Florida offers private office solutions. The offices come fully furnished and on flexible terms. The space is also accessible 24/7 so is well suited for any working needs. The nearest train station is 5 miles away and the building also offers 288 car parking spaces. This truly iconic and highly sought-after business location is one of the area’s foremost, premium and desirable workspace installations. Just below, the boulevard is lined with palm trees, boutiques, art galleries, and cafes stretching all the way to the beach; where the idyllic and stunning weather makes this center the ideal location for professional tenants looking to base corporate operations all year round. The landmark and outstanding 401 Grille in the building’s impressive lobby area is perfect for entertaining clients or networking during lunch. Stop by for a tour today, we look forward to seeing you! 24/7 security and concierge welcomes you to its impressive lobby with high end marble & cherry wood accents, making it an ideal location for professionals needing easy access to the Courthouses. Fully furnished offices complete with executive furniture setup, compliment the already impressive space. Fiber optic internet with a secondary fiber backup connection for redundancy. Brand new VOIP digital phone system with voicemail to email capability. A stress-free environment with inspiring professionals and endless collaboration. Impressive lobby staffed with a warm inviting receptionist, admin and legal support. 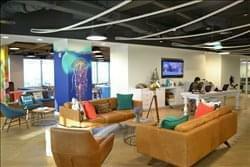 This top tier Executive center designed to be the most impressive and powerful office in downtown Fort Lauderdale. Specializing in the legal industry because the Broward County Courthouse is directly across the street. The Center offers professionally staffed upscale office space on a full time or part time basis with extremely flexible terms. With plenty of State-of-the-art Meeting Rooms and Day Office’s that are fully furnished and available by the hour or by the day/week/year. Located on a top floor with beautiful ocean views, city views and airport views to impress your clients. These offices are in prime location for building your “Empire”. This center is a high-design, shared workspace used by a diverse community of entrepreneurs, startups, independent professionals and small business teams. Different from executive office suites and other coworking spaces, this center is a purpose-built environment that provides members a variety of areas to focus, collaborate, learn or socialize at any given time. By re-imagining the traditional workspace, this offices gives members the greatest opportunities for productivity and success. This center offers members the opportunity to have offices in the center of Downtown Fort Lauderdale without the excess overhead cost and lengthy time commitments.